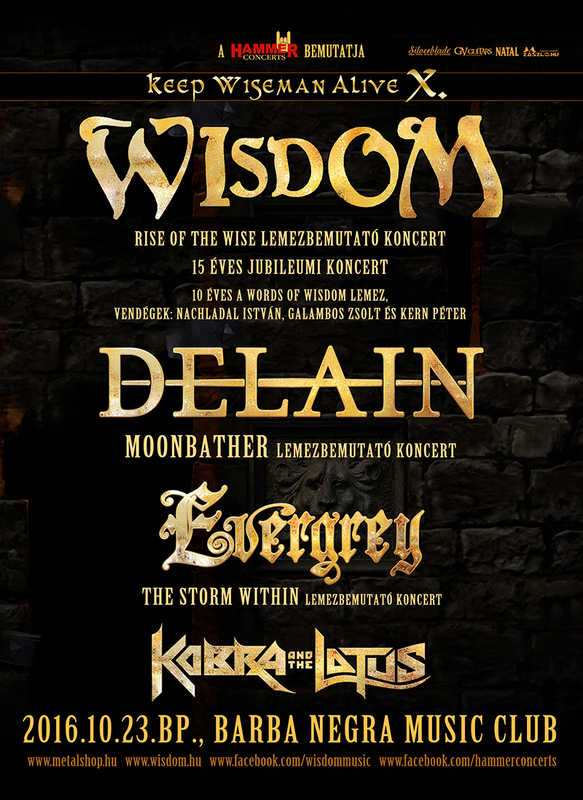 Keep Wiseman Alive is an annual event, founded in 2005 by the Hungarian power metal band Wisdom, which will celebrate it's 10th anniversary this year. These concerts are known for their visual effects and with Wisdom's growth on the international scene, they have attracted prominent guest bands like Powerwolf and The Poodles. For Wisdom 2016 is a very special year. They celebrate the band's 15 year anniversary as well as their first album Words Of Wisdom, which came out exactly 10 years ago. For this occasion they will perform some songs from this record with the original line up! The 4th full length Wisdom album was just released in February and Keep Wiseman Alive will be a good chance for its live presentation! Delain is a Dutch symphonic metal band formed in 2002 by former Within Temptation keyboardist Martijn Westerholt, and Charlotte Wessels. 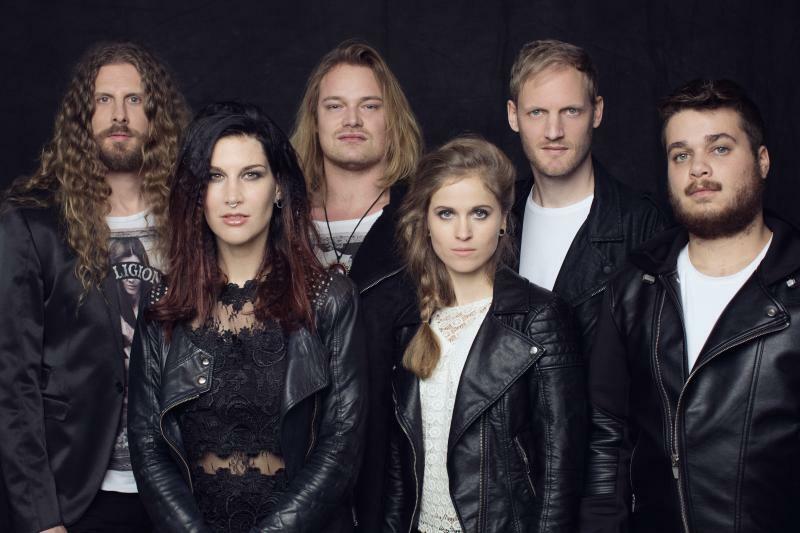 The name of the band comes from the Kingdom of Delain in Stephen King's novel, The Eyes of the Dragon. Delain released 4 studio albums and toured with bands like Sabaton, Within Temptation and Nightwish. Now they come to Keep Wiseman Alive to present their new album "Moonbathers" which is going to be released in August 2016. Evergrey is a progressive metal band from Gothenburg, Sweden founded in 1995 by Dan Bronell and Tom S. Englund. 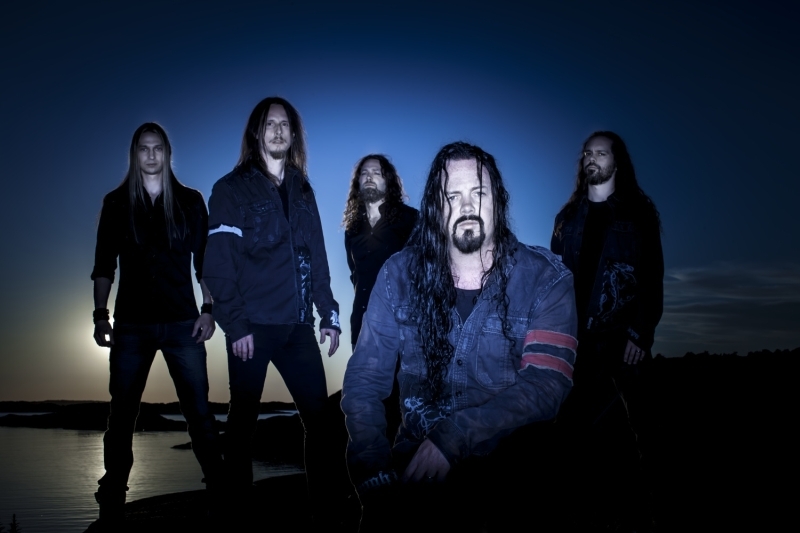 Evergrey's lyrics have always been of the darker sort, and the same can be said of the band's imagery. Their tenth studio album "The Storm Within" will come out on 9th September 2016 and Keep Wiseman Alive is a great opportunity to play these songs live besides their evergreen hits for their Hungarian fans. Kobra and the Lotus is a Canadian heavy metal band formed in 2009 by lead vocalist and songwriter Kobra Paige. After some tours (Kiss, Def Leppard, Judas Priest etc) and 3 studio albums they visit Keep Wiseman Alive to present their brand new record "Prevail". This will be their very first show in Hungary!